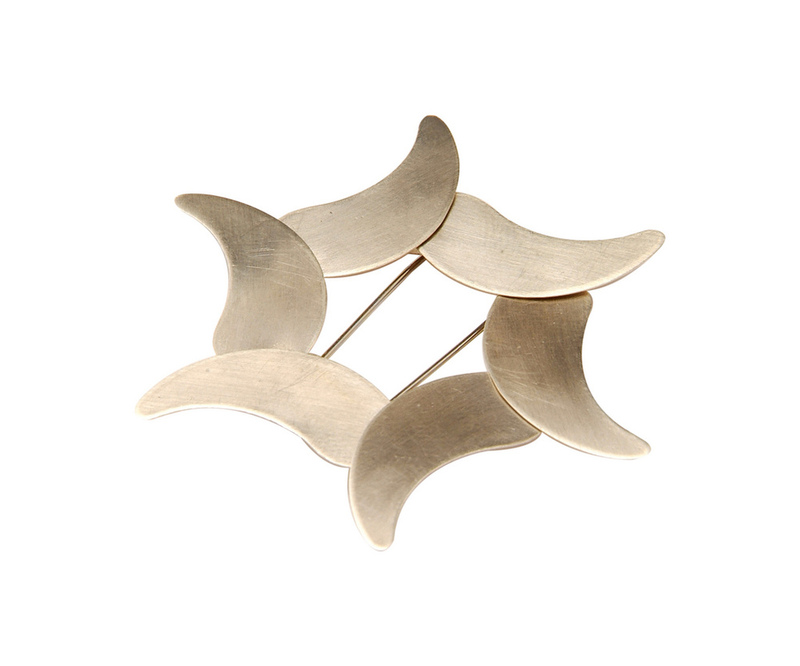 Iris Jewellery [Silver], Wendy Leah Dawson, 2010/11. Iris brooch made in silver with moving 'petals' and based on a camera lens aperture mechanism, these items form part of a wider investigation into scientific instruments, camera mechanisms and the aesthetic of tools and devices. These wearable mechanisms are all kinetic, moving with the wearer, and in a manner befitting the function of observation. 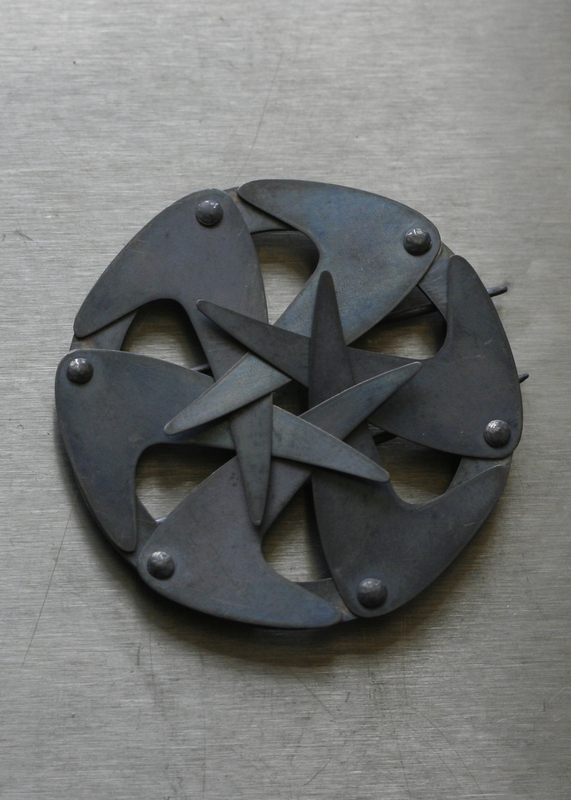 Developed with the support of the Arts Council of Wales, and the assistance of the Innovation Centre at Coleg Llandrillo, who animated the shapes of this and several other brooches to see how they would interact.